Let’s just say that I’ve been using Pinterest for a long time. And I’ve been obsessed with Pinterest for a long time. I remember when Pinterest just hit it big. It was still a secret club that you had to get an invite to use. And thankfully my older sister already had an account! So it didn’t take much for me to get in. And in no time, I was rip-roaring through the platform, pinning things left and right! It was the best way to spend my time when I was trying to avoid homework. How could I resist? Back then, it was fun to pin things I loved. 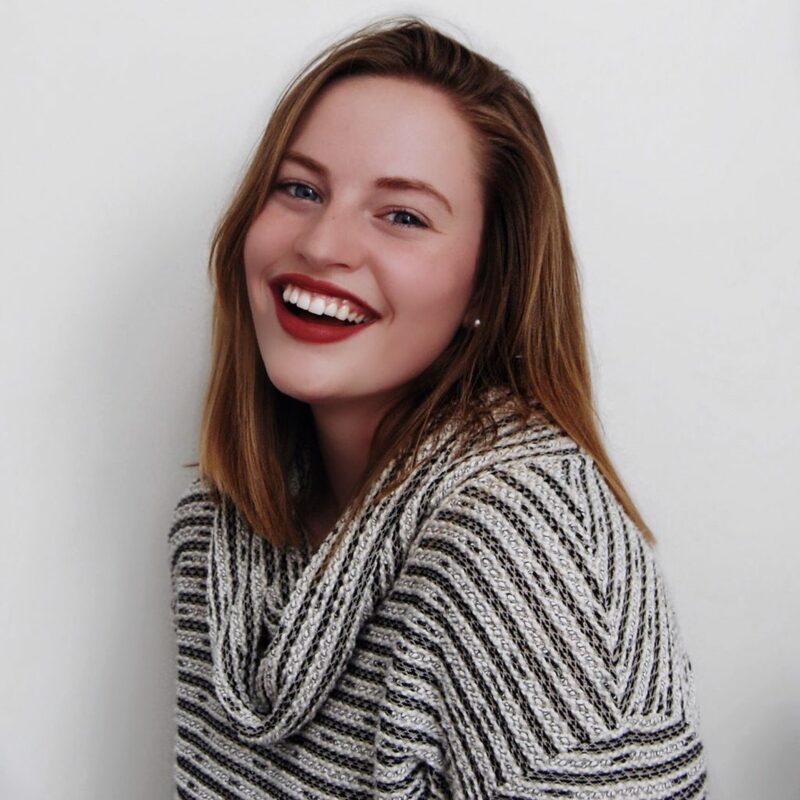 Like quotes, dogs, and photography inspiration. And you know that I had to have a dream wedding board! But it wasn’t until my sophomore year of college that I discovered Pinterest was a tool that businesses could use. I had just accepted an internship for a jewelry company that wanted me to manage their Pinterest and Tumblr accounts. And the Pinterest management was right up my alley. I would post their pictures from their website and other jewelry or fashion inspiration based on their boards. But still, back then, I had no idea the impact that Pinterest would have today. Pinterest is a POWERHOUSE! And it’s a search engine that thousands of people use on a regular basis. And today, I’m proud to say that it is my number one source of traffic to my website. Big thanks to Tailwind, of course. But that’s not what I’m here to talk about. Let’s get to the good stuff already! So picture this: I was sharing about 30 pins a day to various boards on my account to try and grow my presence. And it was working! I was so close to hitting 200k monthly views when I decided to remove 8 Pinterest boards that had around 2,000 pins in them. At the time, that meant I was deleting about 40% of my Pinterest account! And it was a big deal! Those pins were some of my top performers. They had hundreds of repins and would bring me lots of impressions daily! But the thing is… they weren’t pins that actually meant something to my target audience. Now, this looks nothing like my ideal audience! Sure, some of them may like fashion and beauty. Heck, I do too! But I wanted to reach people that were interested in blogs, business, and more! I wanted people who were actually in my target audience. And this was one of the main reasons why I decided to tank my Pinterest account. And right then, I knew the best way to narrow my audience was to narrow my content. So I decided to delete 8 board and create more that are in my field. And some of my newest ones consist of Website Design, Work Life Tips, and Entrepreneur/Business. Then, of course, I have boards for SEO, Content, Email, Social Media, and more! But the most important part is that all these boards now represent my niche! And it makes sense to the people that visit my account. Another reason I did it was for Pinterest SEO. There is a lot of talk as to what goes into Pinterest SEO. And one of the things that might be a factor is the content you share. So whether you share all content or specific content. And if you want to be ranked for a specific keyword, then it’s better to only share specific content in relation to that keyword. Now, there isn’t much proof behind this thought. So I’ll let you do the research and believe what you want to believe. But it does make sense, doesn’t it? If I wanted to rank for SEO, it would be smart to have an SEO board and other supporting boards. And if I was a food blogger, then it would be smart to have a variety of food boards. But the SEO person shouldn’t have a food board! That’s just silly! On Pinterest, you have a few options. You can be a content hoarder who shares every pin they can get their hands on. Or at least a variety of different topics that don’t really make any sense in relation to each other. This is typically what you see when it comes to personal accounts! You can be a content creator who shares specific pins that relate to their specialty. So if I want to help people create their success online, then my content better relate to everything online, entrepreneurship, blogging, etc. Or you can be a ghost land who shares nothing and is wasting their Pinterest account by not pinning! Now, after those 3 options, which one do you want to be? I’m hoping the content creator. As a content creator, you get to share powerful information with your audience that is not only your own but also others! This is an amazing way to create a community and establish yourself in your niche. And Pinterest is a great spot to do just that. So you may be wondering, how to convert yourself from a content hoarder to a content creator… if that’s you, then keep reading! At the time, my Pinterest account had around 30 boards. That included my boards and group boards. But 8 of them were just for fun boards. They included things like recipes I wanted to try, my dream home design and decor, and even DIY projects. So combined, that meant that I removed 8 boards from my account and 1,977 pins! Even today, I think that’s crazy! But think about it… My website is all about how to create your success online. 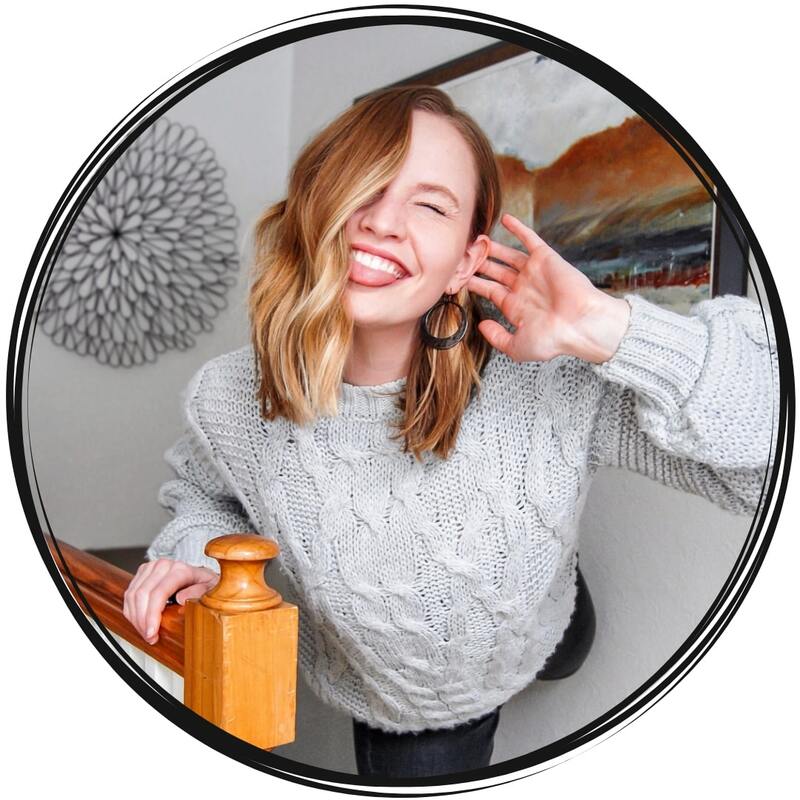 And I wanted to use my Pinterest account as a way to not only drive traffic to my website but to also generate quality leads, readers, followers, subscribers, and more! But how the heck was I going to do that with those 8 nonsense boards that had nothing to do with my brand message? So, I bet you can guess what I did next… I purposefully decided to tank my Pinterest account by removing those boards. And trust me, it did tank. And we’ll talk all about that in the next section. But before we get to the stats, I have to be honest with you. I didn’t completely delete those boards. Instead, I just moved them to private so that I can still save ideas for recipes, my dream home, and of course, my wedding some day! And I can access all the old pins I thought were useful. At the beginning of June, I had around 5,000 pins on my account across all of my boards. Not including my group boards! Some of these pins were ones that I found in high school! And some of them were about my business. And both of those things had nothing to do with the other. So why would I keep both of them on my account if I was trying to grow? So why would I keep both of them on my account if I was trying to use my Pinterest account to grow as a business owner? I sure as heck didn’t want people thinking I was still a high schooler! It just made sense to transform my account so I appeared to be a quality content creator instead of another content hoarder. And I knew when I did this, that my stats were going to hurt. And it was going to be a long time before I saw them go up again. But I also knew that it would be worth it in the end. Up until June, my stats were looking pretty good! I was growing fast and I was proud of my results. But then comes the downward slope. This is when I deleted almost 2,000 pins from my account. See? I mean, how could you not see in that image! My stats and monthly views plunged! And I had to accept it to realize that there was something better on the other side. But now I want to show you the positive effect that this had on my account. This is my Pinterest account from the May 1st to August 26th. Notice something? I now have an estimated 395,000 monthly views compared to the 200,000 I was striving for before! 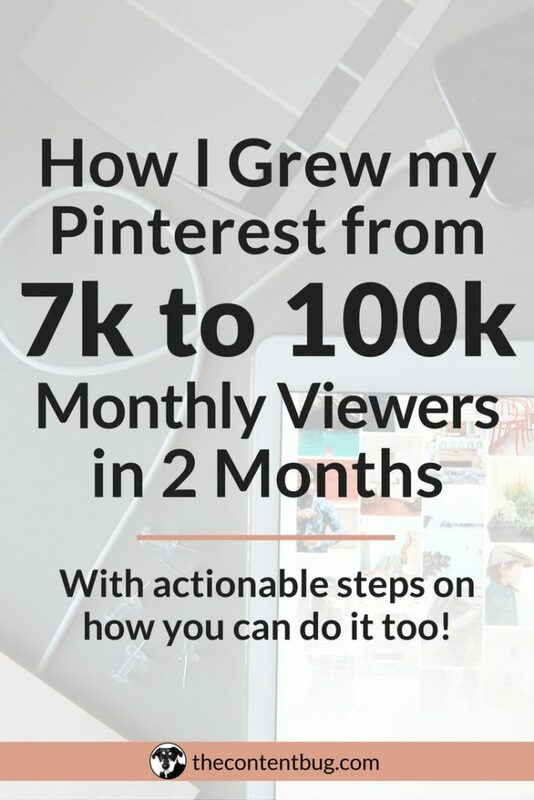 And with this growth, I should hit 500k monthly views on Pinterest in less than 2 weeks! 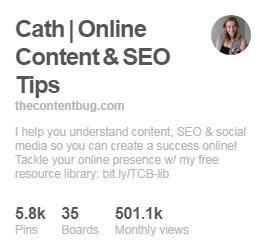 UPDATE: Since launching this blog post, it only took 6 days for my Pinterest account to hit 500k monthly views! I am so overjoyed and amazed by the effect that this process had on my Pinterest account! Keep reading if you want to learn if this process will be worth it for your account too! But I want to take it one step further. 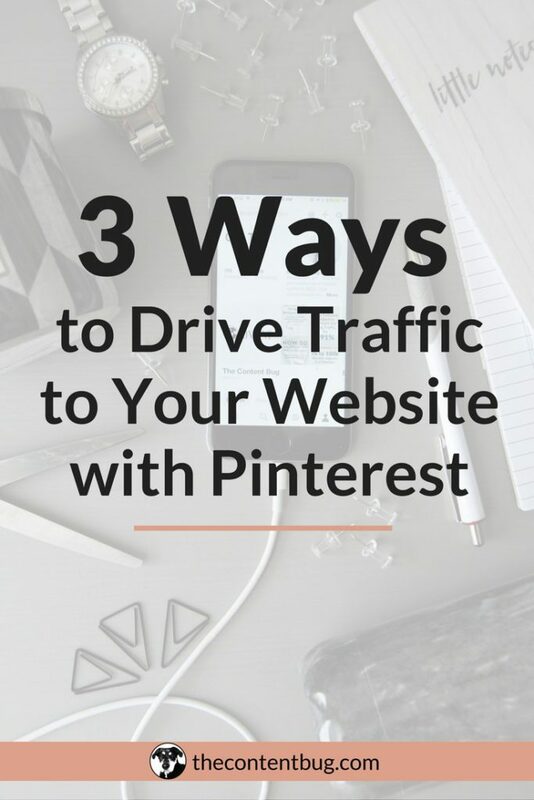 Pinterest is my #1 form of traffic for my website and it has been for a while. But with this amount of traffic, it makes all the difference! Should you tank your Pinterest account? 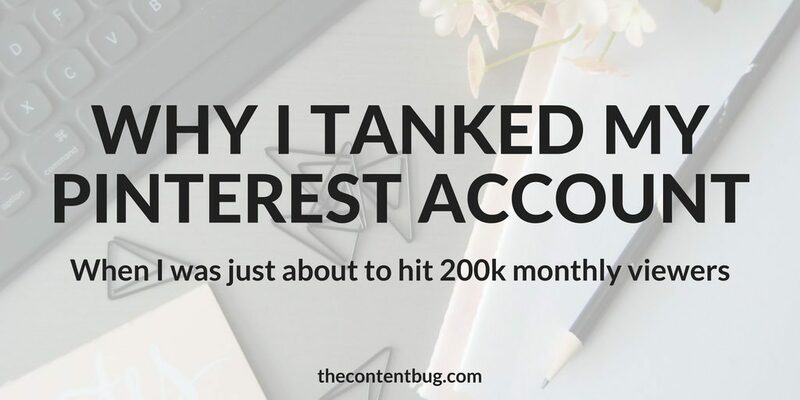 After reading all about my experience, are you ready to purposefully tank your Pinterest account yet?! Well, don’t get ahead of yourself. The first thing you have to do is evaluate your Pinterest account. Take a look at your boards. 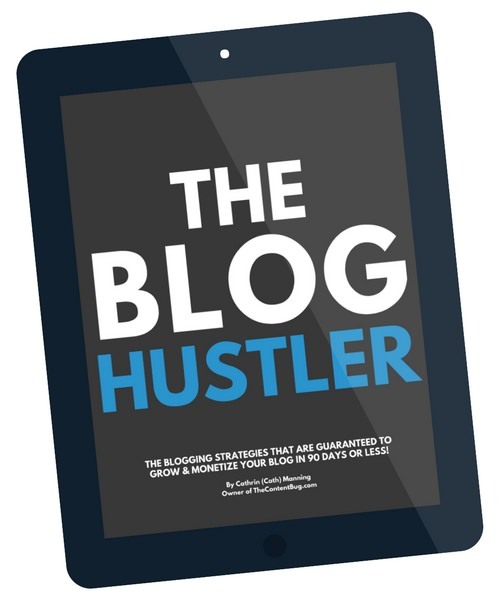 Do they accurately represent your brand, blog, or business? If someone was to visit your Pinterest account for 30 seconds could they tell what your niche is? If there is any question in your mind about the boards that you have on your Pinterest account, then it might be time to rethink your strategy. And it’s time to remove those questionable boards. But don’t worry! You won’t lose all that amazing content that you still want to reference. Just change the boards you don’t need on your account anymore to private. That way you can still see them, but your audience won’t! Now, when you do this, only get rid of the boards that don’t accurately represent you. You still want to keep the ones that are right up your alley! And when you do this, be prepared for your numbers to drop. Because they will drop! But it will be worth it in the end when you have a targeted audience, quality followers, and overall improved website and Pinterest stats. Don’t forget to think about what new boards you want to add to your Pinterest account! This is a great opportunity to “rebrand” your Pinterest! So take the time to create more quality boards that fit your niche. And make sure each of those boards has 50 quality pins in them. And, of course, don’t forget about your board title and description! Make sure they make sense to the content you share and prove your point that you are a high-quality content creator! 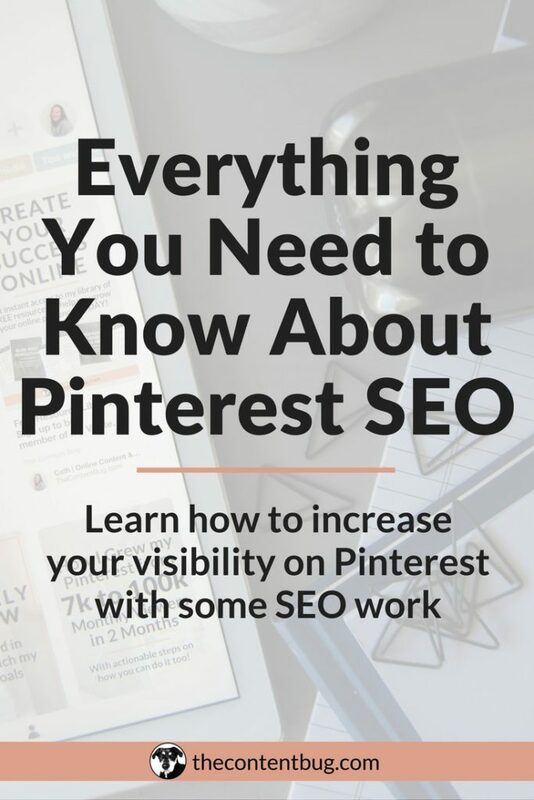 And if you need more information about how to SEO your Pinterest account to reach an even higher level of success, you’ll definitely want to check out this blog post. And make sure you read some of the articles in the Keep Reading section below. Now I think that’s just about it. 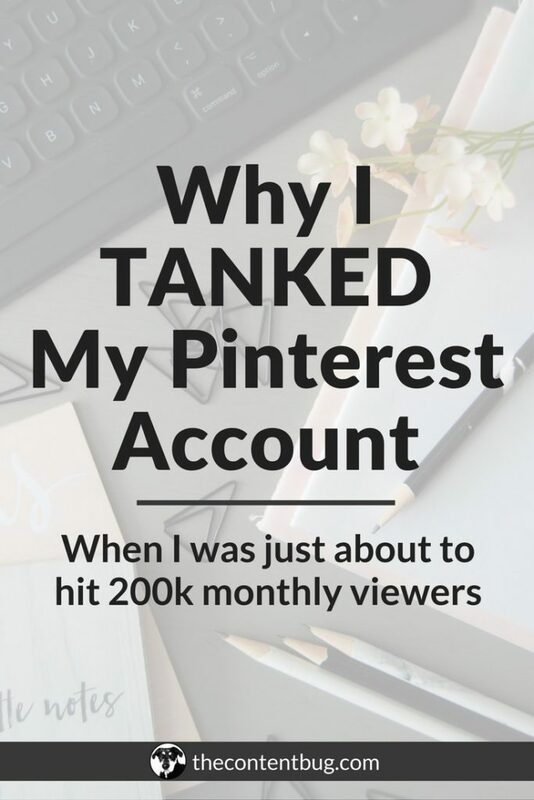 You already know that I purposefully tanked my Pinterest account to narrow my Pinterest audience and improve my Pinterest SEO and business niche. And you’ve even seen all angles of the results to know that my decision was definitely worth it. But now it’s your turn. Will you take the plunge and purge your account next? And if you said yes, then are you ready to see amazing results? Let me know in the comments below how you transformed your Pinterest account for the better! Desperately need your account cleaned up but you don’t have the time to do it? I’m here to help! Find out more about my Pinterest Account Clean Up service and my other Pinterest services and let me help you grow your account faster than you thought possible! Not sure if you have any knowledge of this one, but my Pinterest was steadily growing every week (I got up to 120k UMV), and then I have a blog rebrand and changed the URL and name of my blog and on my Pinterest account. My new website URL has been verified and I just got rich pins back, but ever since my traffic and UMV have been steadily dropping (about 20% per week) no matter what I do! I’m now under 50k UMV and still heading downwards – I’ve tried everything and don’t know what is causing this downwards spiral!! 🙁 Do you have any ideas about what might have happened?? My Pinterest is @exploreshaw. You have a pretty unique situation with the URL change of your blog. But here’s my guess: when I tanked my Pinterest account, it took a while for all the changes to take place. And I had to watch my Pinterest account continue to decrease in UMV for a while until everything was sorted through on Pinterest’s end. Then, it started to go back up again! I think that Pinterest is just taking a while to get adjusted to the URL change with all of your blog posts. It’s almost like you’re starting back at the beginning and you have to find a way to make Pinterest trust in your new URL again. My best recommendation is to continue to pin regularly and get as many pins from your new website on Pinterest. And of course, just abide by Pinterest best practices to improve your Pinterest SEO! I am trying to change my account from business back to regular, how can I do this? PLEASE HELP!! Thank you! Hi Heather! I don’t think it’s actually possible based on my research! I recommend contacting Pinterest help services to see if there is anything they can do. I found this post so interesting! A few months ago I decided to change my Pinterest account over to a business account from personal. After reading this post, I thought I would try it. It’s taking me a good dedicated week to clean it up, combine boards, delete irrelevant pins (because I have been on Pinterest as well for a long time), make some boards private. I even changed my account name to reflect my brand. Interestingly enough, my overall views immediately increase by a couple of thousand views, however at this time my followers have gone down by about 3. Not sure why. I’m going to keep pinning as much as I used to, but more relevant pins to try to increase traffic to my website. That’s so awesome to hear that your views went up that quickly! And I’m glad that you found my tips helpful. When it comes to your followers, you will notice that they will soon start going up as well. It just takes time! I wouldn’t worry too much about losing 3 followers right now. Just focus on sharing at least 25 (preferably 30) pins a day and people will start to notice your content and you’ll gain even more followers back! Totally unique and interesting post. I’m going through a really weird blogging phase right now where I have all these ideas and I’m really trying to hone in on my vision. You’re so right though – a Pinterest following are mere numbers, but are we reaching the RIGHT people for the content we create? That’s exactly right! So many people get caught up in the number of followers you have. But especially on Pinterest, you reach a lot more people outside of your follower count! So reaching the right people is so important! Best of luck on your blog! I’m sure you’ll crush it!